INSIDE: Wishing you a birthday wrapped in happiness! 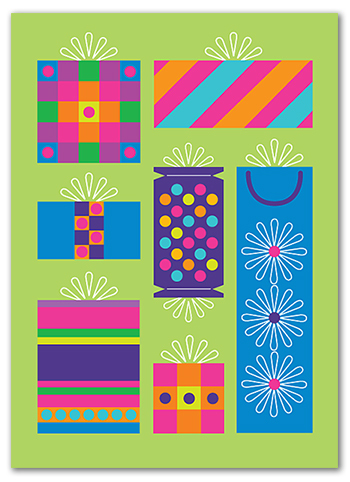 Colorful and graphic birthday card from Cabaloona. Printed on high quality 100 lb card stock, and comes with a bright white wove cotton envelope.